Paulette Janus is a Licensed Clinical Social Worker, Family Mediator and Divorce Coach. 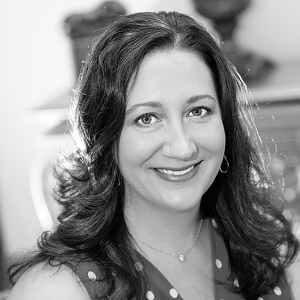 She has been providing therapy/behavioral health services for clients for over 15 years and is the founder of JANUS Behavioral Health Services, LLC; a multi-faceted practice with offices in both Lincoln Park and Wilmette in Illinois. How did you decide to become a therapist? When I was in elementary school, my best friend’s mother was diagnosed with cancer. Through all the hardship and treatment, I watched her maintain a positive outlook, always having her wig on and makeup done. She lived over a year longer than originally predicted and the thought that this was linked to her coping style impacted me greatly. I knew from this early age that I wanted to help others through life’s hardships in a better way. To this day, I remain fascinated by the mind-body connection and how our thoughts and feelings impact all life areas including family and peer relationships, school and work performance, as well as physical health and disease progression. Our mind is a powerful tool. I obtained my B.A. in Psychology from Northwestern University. I initially entered a Ph.D. program in Health Psychology, only to find that it was not a good match for me. I knew that I wanted to do clinical work, and I was not interested in research or teaching, and at the time, I did not know about other types of programs. It was a very difficult decision but after exploring other options, I decided to withdraw from that program and enter an M.S.W. program. I resonated with the bio-psychosocial and strengths-based perspectives of the social work field. I read that you are interested in the "bio-psychosocial and strengths-based perspectives of the social work field." Can you please explain what that means? The bio-psychosocial perspective views people through the lens of three factors: biological; psychological (thoughts, feelings, and behaviors); and social (environment and culture). It sets forth that health, both emotional and physical, is a result of the combination of these three factors. Working from this perspective takes into account the whole person in relation to all systems (relationships, work/school, and society) rather than just an individual in isolation. The strengths-based perspective focuses on the strengths of a person that can be brought forth during a time of challenge or crisis. This is in contrast to the medical model that focuses on pathology and diagnosis. Working from a strengths-based perspective, I help clients focus on their strengths to move forward in a positive direction. This is much more empowering than focusing on pathology. Will you please tell us about your current practice? When I completed my M.S.W. program, I obtained employment as a therapist working with children who had been adopted through D.C.F.S., internationally, or privately. I never thought that I would want to work with children, and it was a departure from my health focus, yet it was a good opportunity that provided a great deal of training and supervision in therapy interventions. I ended up loving working with children, who are so resilient and malleable, and seeing their growth. My therapy practice continues to be focused on children, teens, and families. About three years ago, I went into private practice in order to be my own boss, set my own hours, and work independently. Given that a private practice is difficult to maintain, I decided to expand my services outside of just therapy. I had seen far too many children in therapy as a result of a contentious divorce, and I wanted to be more proactive in helping families through this trying time, particularly given the significantly high divorce rate in our country. I completed family mediation training, and I am a Certified Mediator through the Cook County Court. I have also completed training in Collaborative Divorce and work as a Divorce Coach and Child Specialist (i.e. helping families to develop their parenting plans). This work has allowed me to help families navigate divorce with less emotional turmoil and family discord. Although it may seem as if my practice has taken a scattered path, I think the theme is grief and loss, as these factors are significant in health-related crises, adoption, and divorce. What advice would you give to aspiring therapists? Relax. When I mentor students, anxiety is a common theme, worrying about what to say and what to do to the point that it impacts the therapeutic process. You can read all the books you want, yet real skill is developed through experience. In some ways, therapy is an art, knowing when to push, when to pull back, when to be supportive, and when to challenge. Do not focus on trying to implement certain skills. Rather, go with the flow, be present in the session and then after you can evaluate what worked and what didn’t. Learn more about becoming a marriage family therapist.